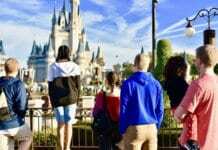 Jeff and Jamie Wood are used to having a good story to tell—after all, the couple, who will be married for 5 years in July, actually met on Craigslist! And not in the “personal ads” either, but because Jamie was selling Jeff a SUITCASE! Is that a hoot or what? 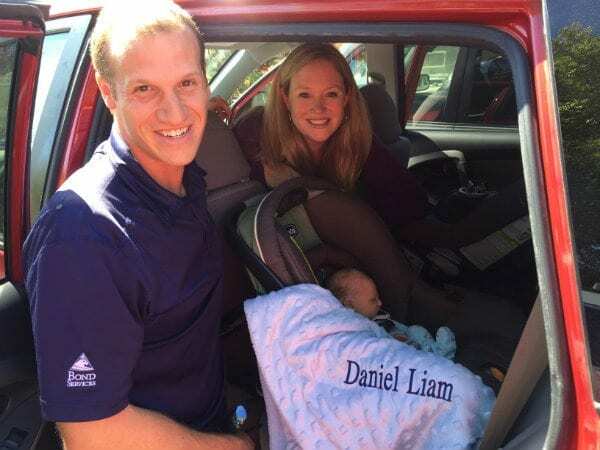 So perhaps they shouldn’t have been surprised when their second child’s birth ended up being a little unconventional, but…they NEVER expected to welcome little Daniel Liam Wood in a Starbucks parking lot. The Woods were already parents to one son when they found out they were expecting Daniel, but their first child, David, was 10 days overdue, so Jamie’s labor eventually had to be induced in the hospital. 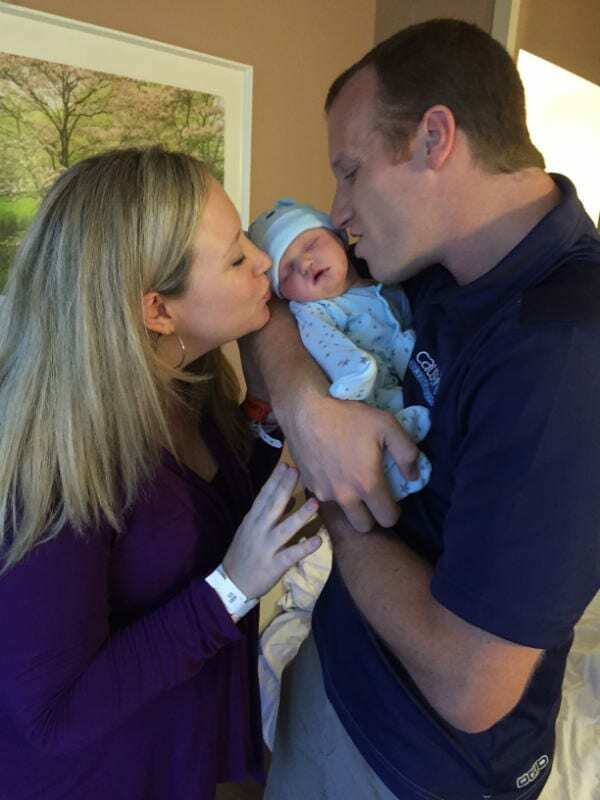 After 18 hours of labor, she was hoping her 2nd child would come a little bit faster, but she had no idea that when her first contraction awoke her at 1 a.m. on June 2, she had just minutes to spare. “We called my parents to come over and stay with our oldest and were waiting on them,” she told me in a phone interview, “but by 1:30, my contractions were already 2 minutes apart and I was panicking.” Jeff and Jamie raced to the hospital, 20 minutes away, (“80 miles an hour, like in a movie! ‘Jamie says) but by the time they’d gone just 10 minutes, Jamie asked Jeff to pull over. 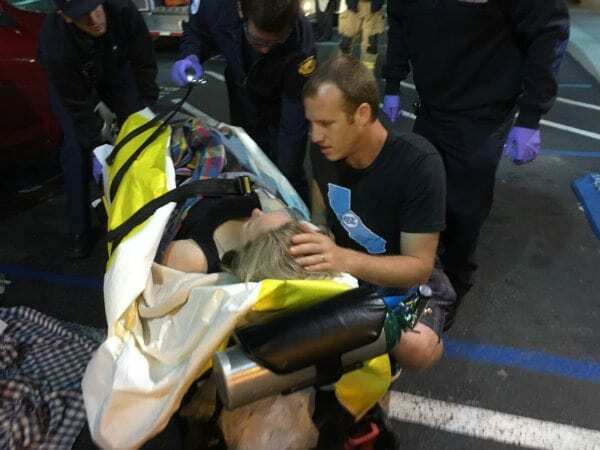 “This is happening NOW,” she said.”Are you SURE you can’t make it?” Jeff asked, as any husband who doesn’t want to have to deliver his baby in a car would— but Jamie assured him this baby was on its way IMMEDIATELY. The nearest place to park? A local Starbucks parking lot—nearly empty at 2 a.m.
Quickly, Jeff laid the blanket down on the asphalt, “And I stripped!” Jamie laughs. 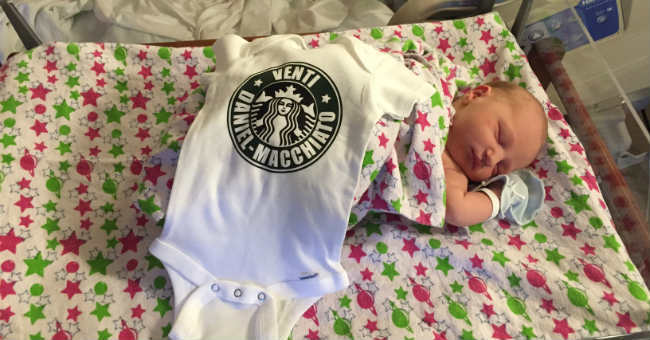 “There I was bare bum naked on the ground in the Starbucks parking lot!” As the 911 operator coached Jeff over the phone, Jamie began to push, and with only 3 pushes, their beautiful second son Daniel Liam entered the world at 2:02 a.m., just one hour and 2 minutes after his mom had felt her first contraction—and 4 minutes after his daddy pulled into the Starbucks parking lot. 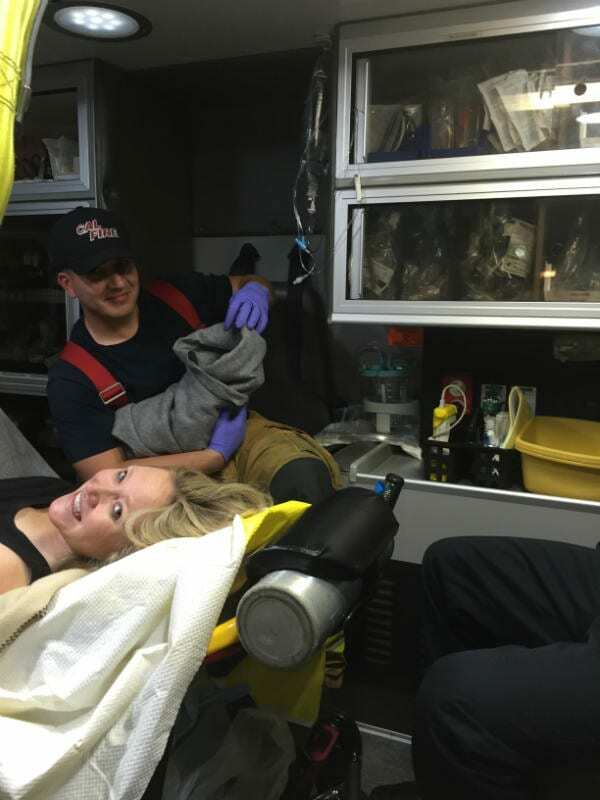 Just as 911 was coaching Jeff on how to tie off the umbilical cord, the fire truck arrived, and Jamie and baby Daniel (seen her wrapped in a fire blanket!) 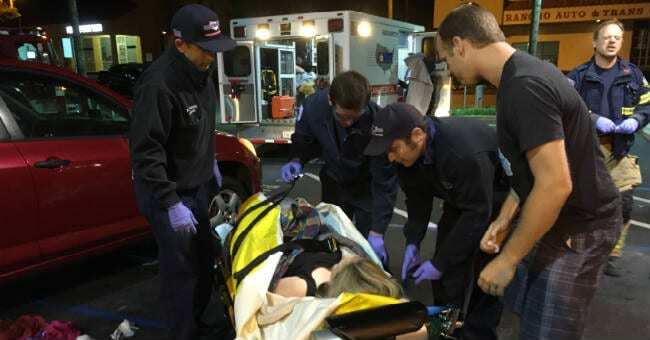 were whisked off to the hospital, where her placenta was delivered, and ALL were pronounced to be in good health. Welcome to the world, Daniel Liam! How amazing it is that God is ALREADY using your little life to show others how GOOD He is! Thanks so much to the Woods for sharing their story with us!